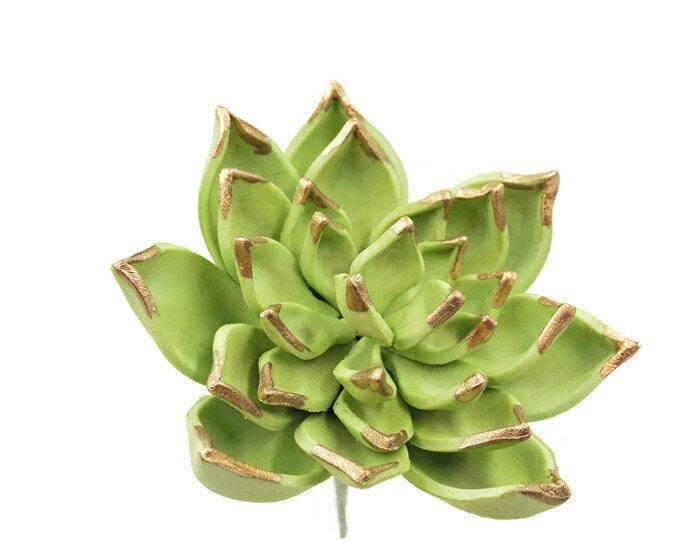 Beautiful gold details accent this modern wedding cake essential: the succulent. 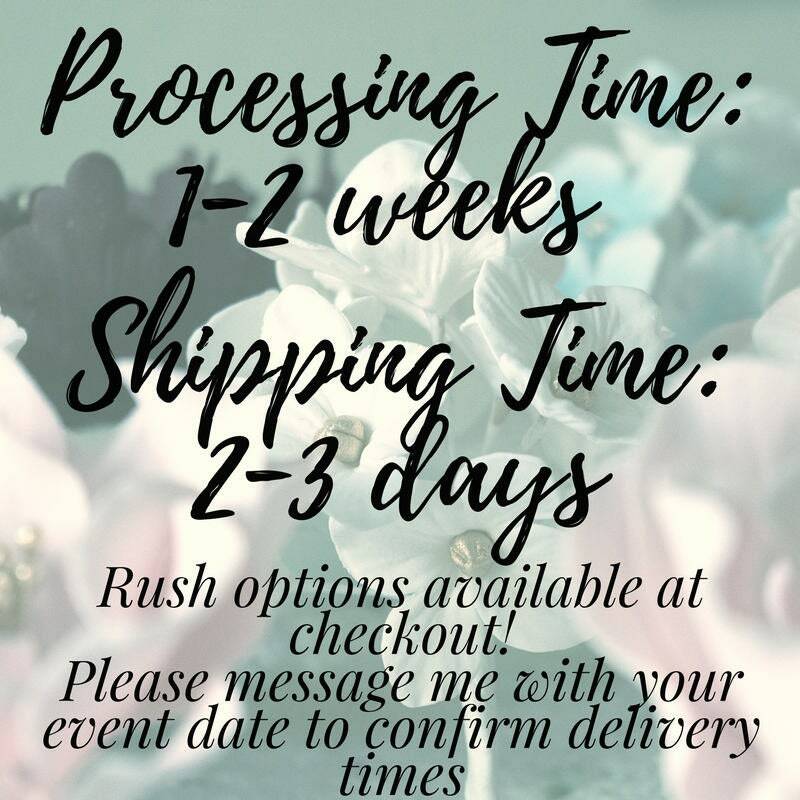 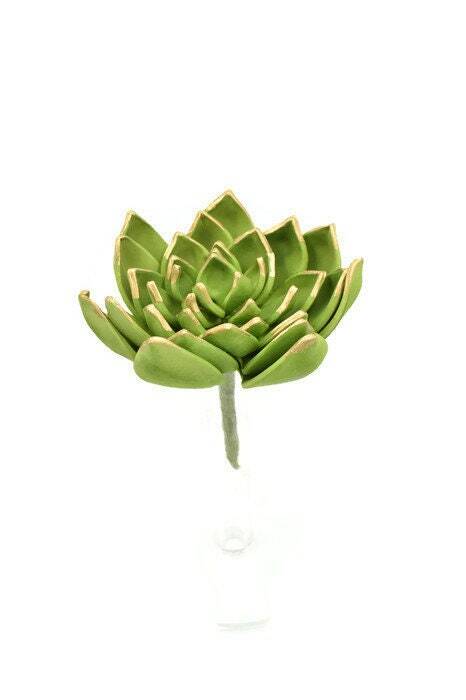 The elegant cake topper sugar flower will take your cake to the next level, and it's sure to look phenomenal paired with another sugar flower, like a ranunculus or peony, or featured all on its own. 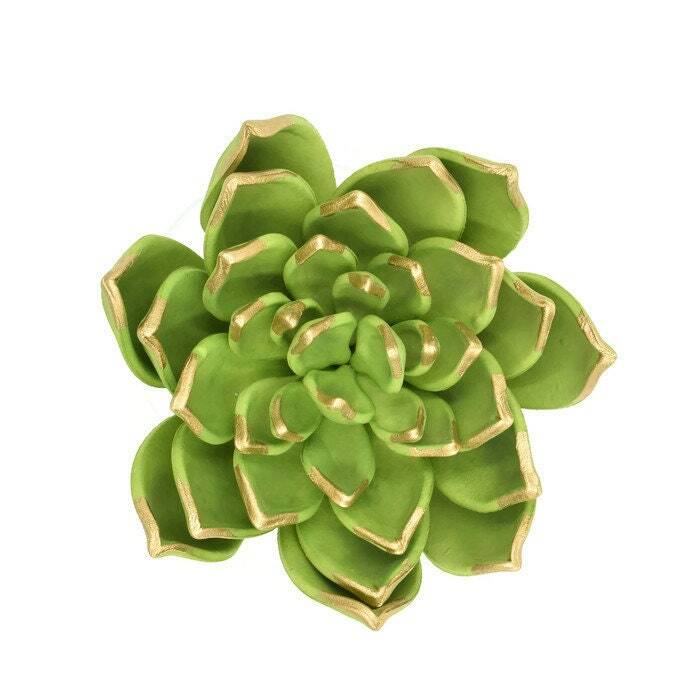 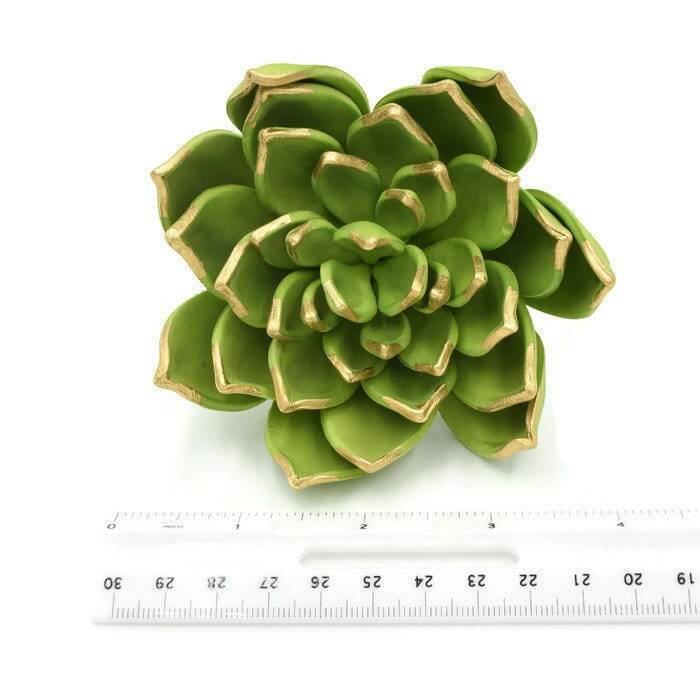 This succulent is 4" (9mm) across. 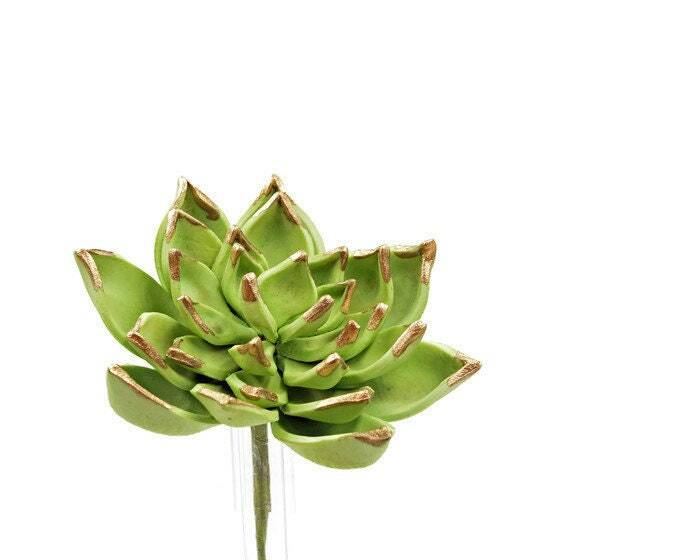 Each of the approximately 25 "petals" is hand painted with gold gilding, and wired together to make decorating your cake a breeze.